We are excited to announce that we will be attending The Showman’s Show on 18th – 19th October 2017. The Showman’s Show takes place at Newbury Showground and you can find us at stand number 275 on Avenue F.
The popular outdoor exhibition attracts on average 4,500 visitors over two days and has more than 350 exhibitors, who exhibit the most sophisticated structures, equipment, technology, services and entertainment demanded by the event industry. Our interactive competition will see visitors take a 360-degree virtual tour of our exhibition stand. Customers will need to find the hidden object located on our stand in the quickest amount of time to take first place on our leaderboard. The person to find the hidden object the quickest will win a top of the range Insta 360 Camera worth £360. Our virtual competition will give our visitors the chance to experience our products first hand, and give them the opportunity to win this exciting high-tech prize. We are offering customers the opportunity to experience our innovative outdoor event tents through the use of VR lenses. Creating a virtual experience, customers will navigate our stand and experience first-hand the impact our branded even tents can have at an event. We will be exhibiting the original, innovative and versatile inflatable event tent – The X-GLOO! Designed, engineered and manufactured in Germany, the X-GLOO is an iconic igloo-shaped event tent which is both functional and versatile, making it perfect for any company wanting to take their brand to the next level. 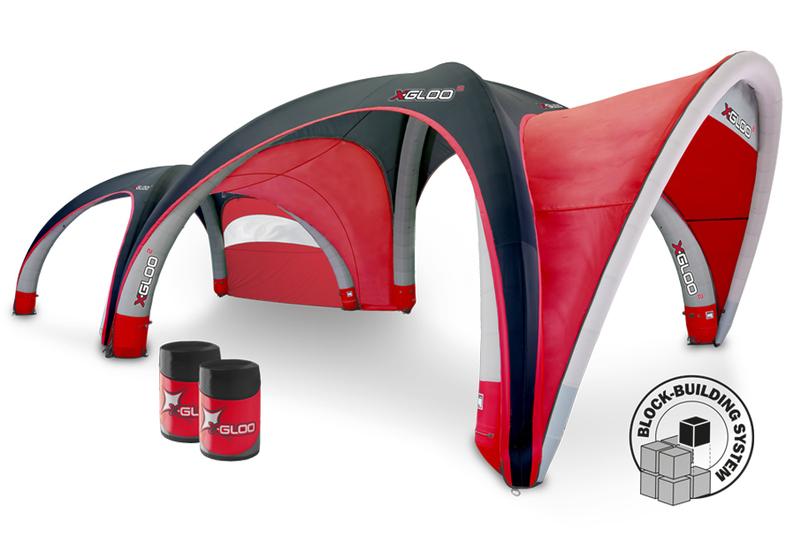 Available in four sizes 4x4m, 5x5m, 6x6m and 8x8m, the clever and flexible block building system of X-GLOO means you can build up your tent from the basic unit to suit your needs. It features extensive customisation and colour options and allows you to create a bespoke X-GLOO event tent to suit your business and brand needs, providing you with maximum brand exposure. This flexible and lightweight display solution is designed for large-scale indoor or outdoor events where maximum impact is required. We will also be exhibiting the Signus ONE inflatable brand pavilion which is exclusively available in the UK through XL Displays. Inspired by kite surfing technology, the Signus ONE is designed and manufactured in the Netherlands. This premium exhibition product is ideal for both indoor and outdoor large events where you want your brand to get noticed. This is a brand new product to the UK and is ideal for businesses that want to take their marketing to the next level. 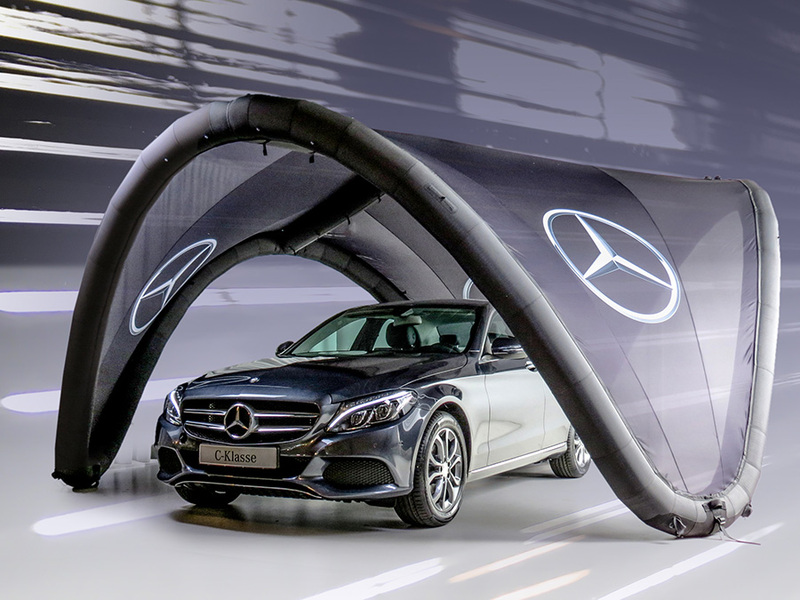 It can be used at any large scale, experiential marketing event, from festivals to motor shows, sporting events to trade shows, county shows to car showrooms and forecourts. Due to its quick assembly time, Signus ONE is also great for guerrilla marketing, sampling and other pop up marketing occasions. Come and visit our stand to see our quality branded gazebo's. Our branded gazebos are strong, robust and easy to assemble. 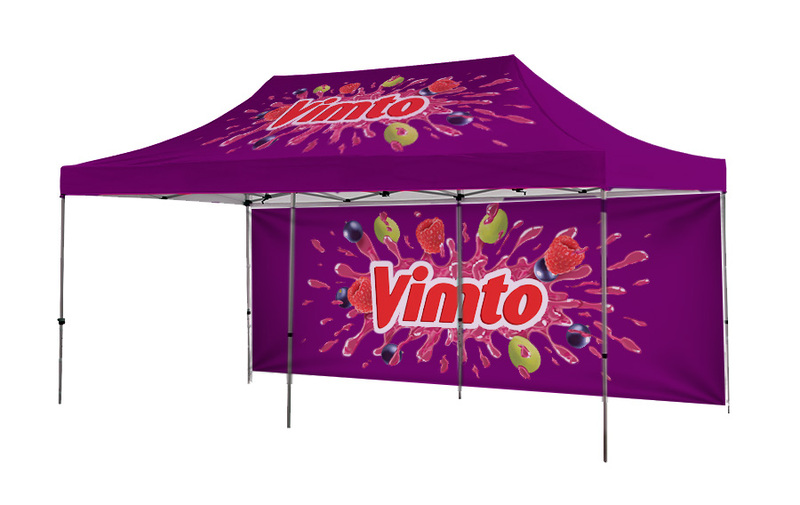 These pop up gazebos can be fully customised with your branding and come in a range of sizes - perfect for event branding. A popular solution for outdoor events, exhibitions, trade shows and country fairs, they provide instant shelter from any weather. We offer a range of outdoor event gazebo kits with a mix of a printed canopy, back wall, half side walls and full side walls. Our range of custom printed pop up gazebos are available with single or double sided graphics. Branded gazebos are without a doubt one of the most trusted and reliable outdoor tent solutions when it comes to outdoor events and exhibitions. Entry to The Showman's Show is free, however, visitors will need to register for the show. We look forward to seeing you at The Showman’s Show. For more information on our X-GLOO Inflatable Event Tent or Singus ONE inflatable brand pavilion please contact us or call us on 01733 511030.